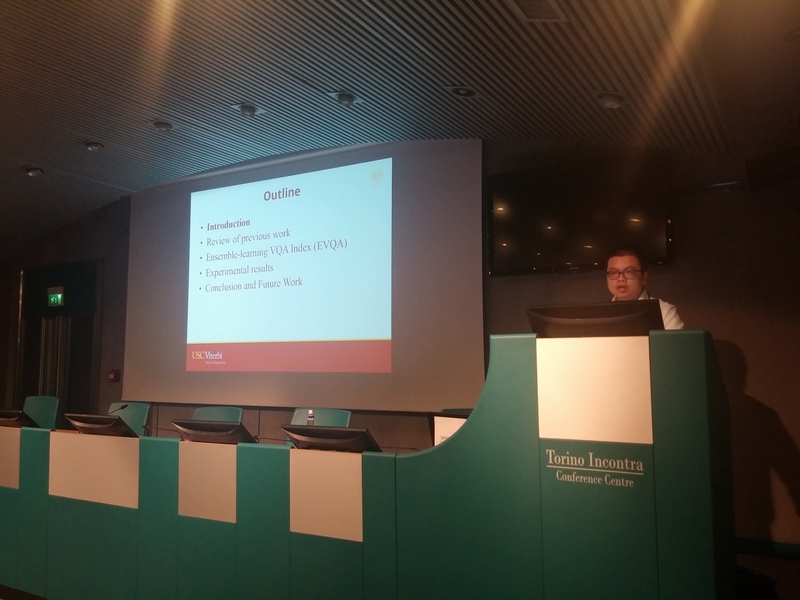 Joe Yuchieh Lin, a member of MCL, attended ICME 2015 hosted in Turin, Italy from June 29th to July 3rd to present his work in the Cloud based Media (CbM) Workshop. ICME has been the flagship multimedia conference since 2000. It serves as a forum to promote the exchange of the latest advances in multimedia technologies, systems, and applications. The CbM workshop is added this year since Cloud Computing arises as a promising solution to reserve assets on demand and guarantee their provision over time. The solution lies in the design and development of an abstraction entity that is responsible to manage the media resources and the network capabilities, acting as a mediator between the client application and the media-aware cloud. The conference, according to Joe, covers a wide range of topics in multimedia processing, all of which may lead to the most excellent research ideas. The sessions are relatively smaller but the discussions are more active. Besides, Turin is a beautiful city with history in cinema industry and presents transition from past to modern technologies in multimedia. The trip is not only full of multimedia technologies but also the artistic atmosphere in the city. Joe presented his work in the CbM workshop. His paper is titled “EVQA: AN ENSEMBLE-LEARNING-BASED VIDEO QUALITY ASSESSMENT INDEX”. This paper proposes a scalable solution of video quality assessment method. EVQA adopts a frame-based learning mechanism to address the limited training data problem and fuses multiple image quality assessment indices to generate the final video quality score. The superior performance of the proposed EVQA index is demonstrated by experimental results conducted on both LIVE and MCL-V video databases.